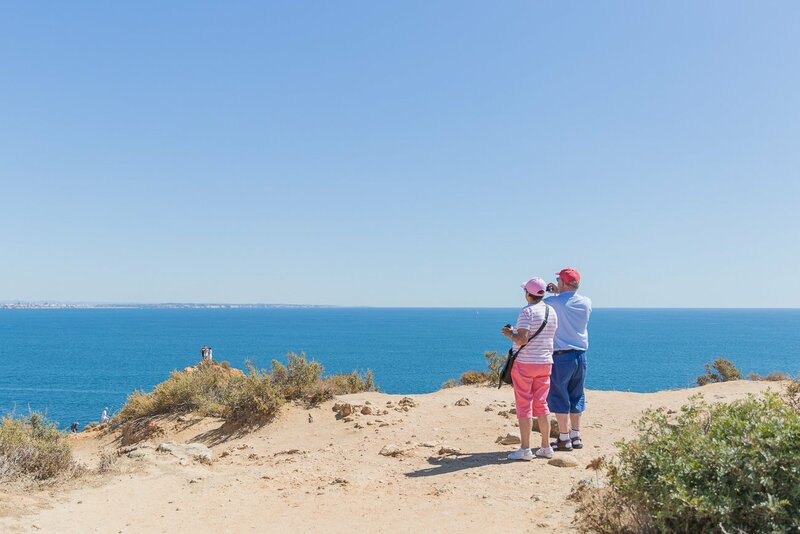 Portugal is definitely a hotspot for travellers from all over the world. But most of them come to visit the two famous cities: Lisbon and Porto. 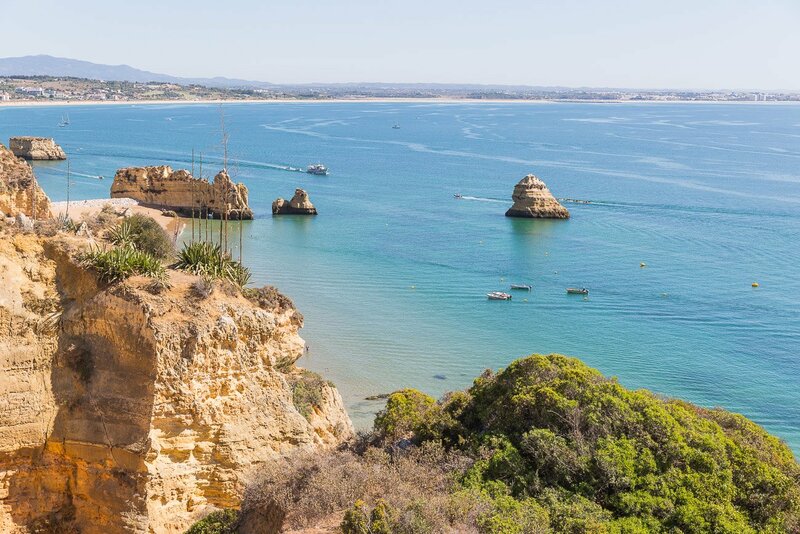 The southern coastal region of the Algarve isn’t up as high on the To Do lists of most visitors. Let us tell you – that’s a huge mistake! 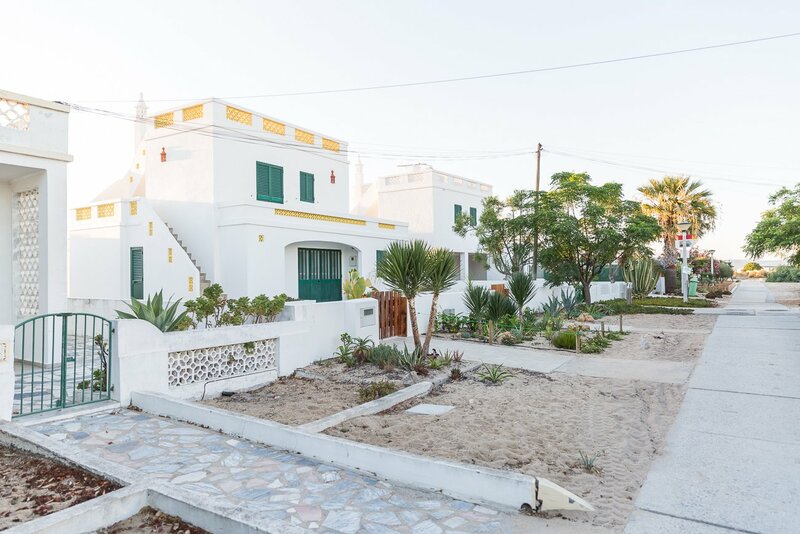 Our itinerary included sunrise boat tours, climbing a lighthouse, hiking along the southern mediterranean coastline and shopping with a local at the market. 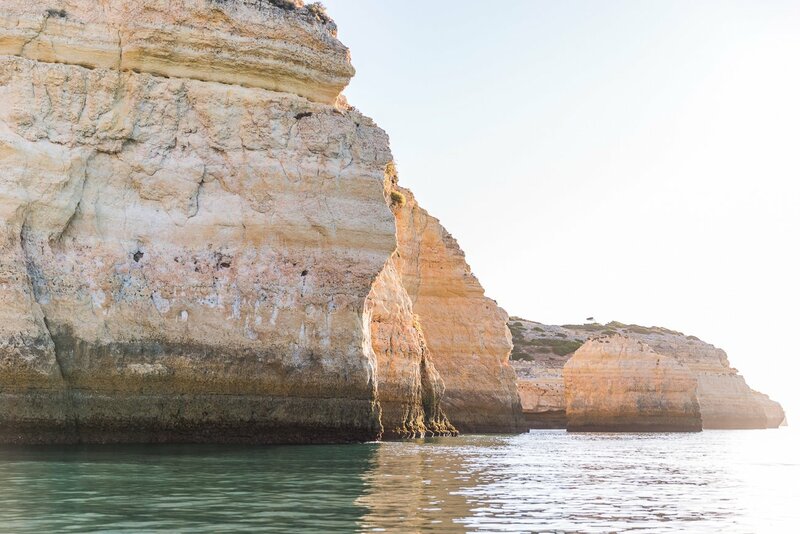 DAY 1: Charter a boat at sunrise to visit the famous cave of Praia de Benagil before everyone else. 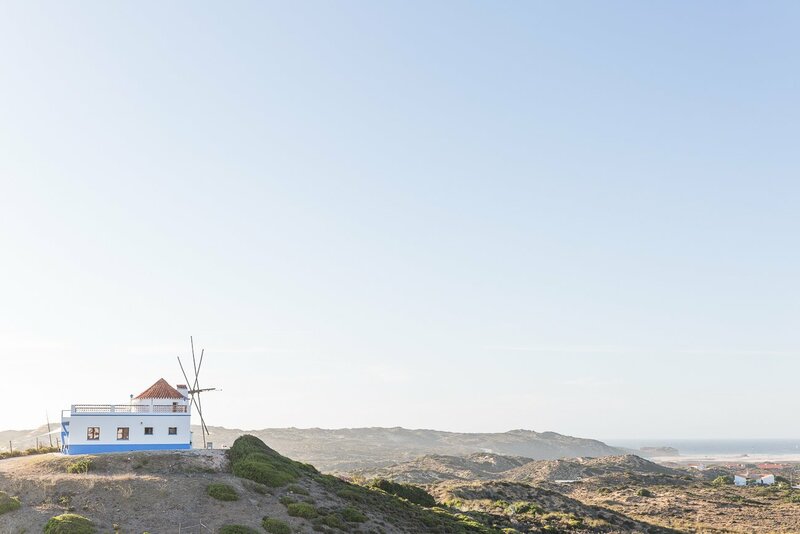 Explore the lovely city of Tavira and it’s rather unique attraction: the Camera Obscura at the old water tower. 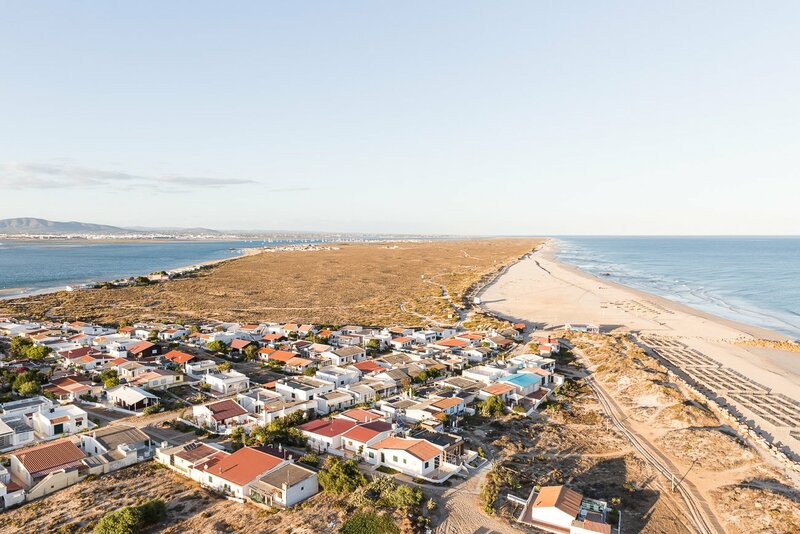 In the afternoon make a short visit to the fishing village of Santa Luzia before you take a boat tour around Ria Formosa to Farol island. 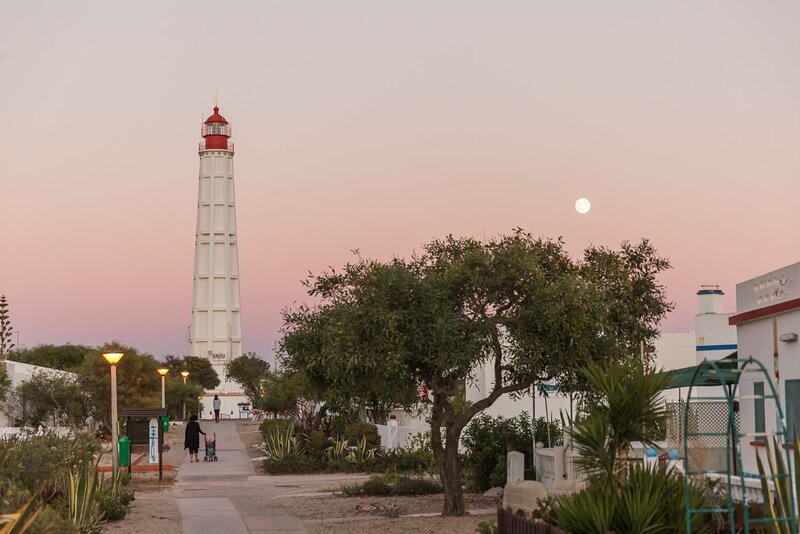 There you can climb up the lighthouse at sunset and eat dinner in a traditional restaurant. 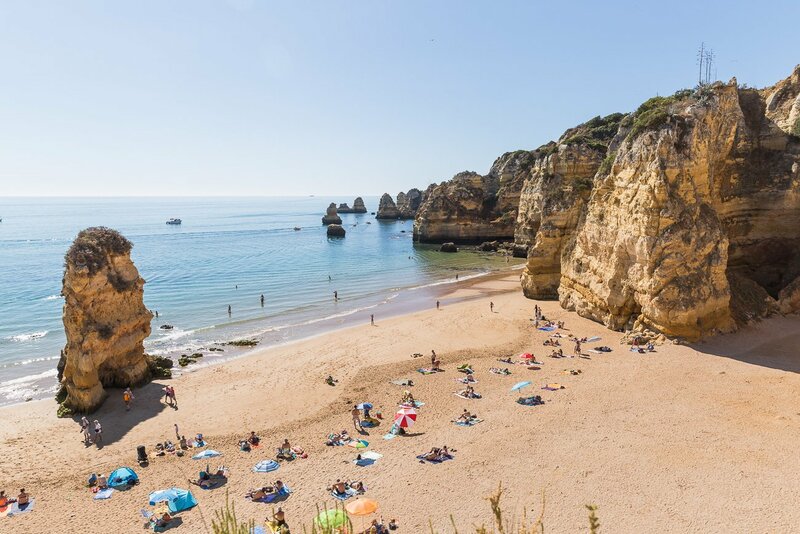 DAY 2: After a breakfast at your hotel drive along the southern coastline around Lagos and explore the multitude of beaches and cliffs. 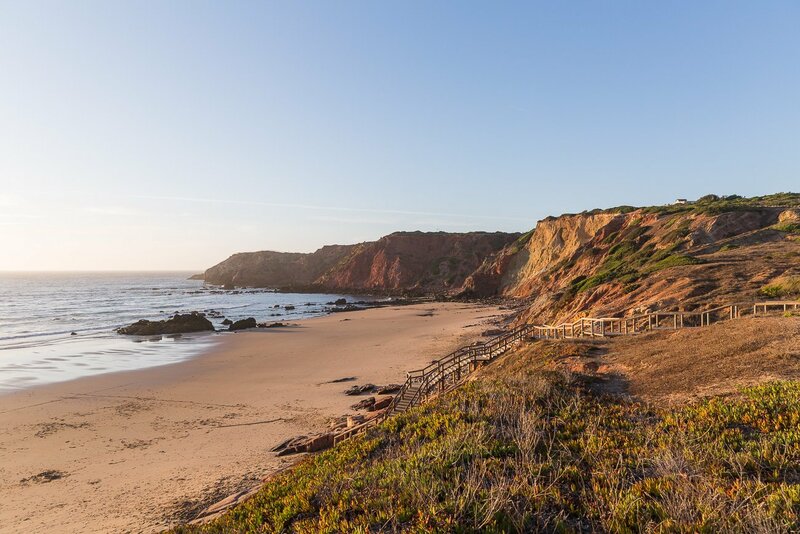 Eat lunch in Sagres (we recommend: Restaurant Armazem). 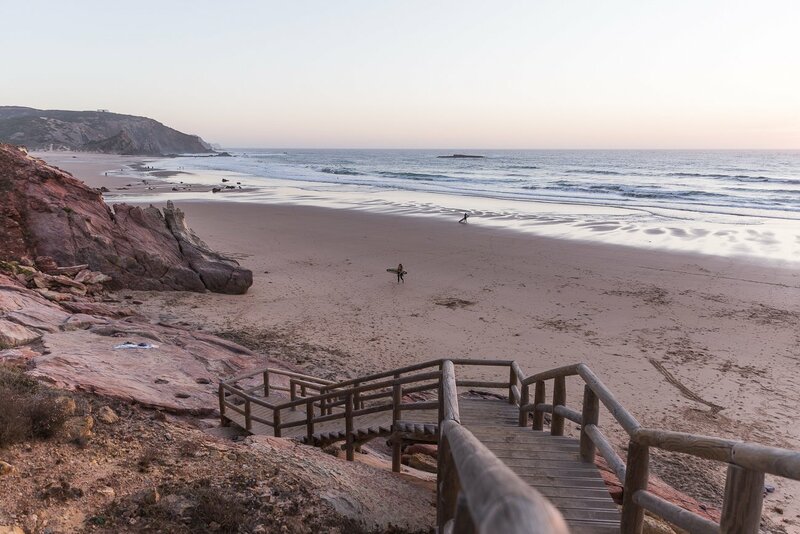 Drive on to the Atlantic west coast and end the day by watching surfers at Praia do Amado. Portuguese Tapas Dinner at Salmora in Vilamoura. 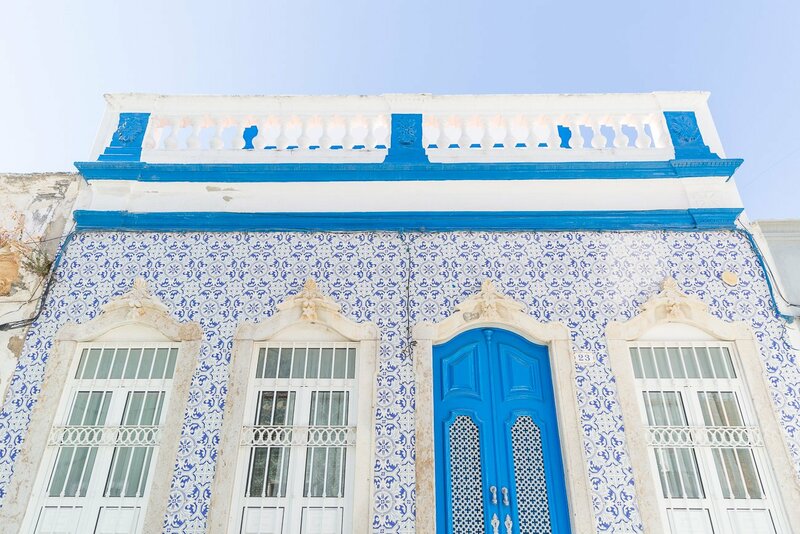 DAY 3: Visit the market in Olhão and wander around the streets to discover the fabulous tiled facades of traditional Portuguese architecture. After that take the small railway to Barril Beach and enjoy lunch with the locals at the long stretch of sand. We got up early for a special sunrise boat tour, which was already the first highlight of the whole trip. 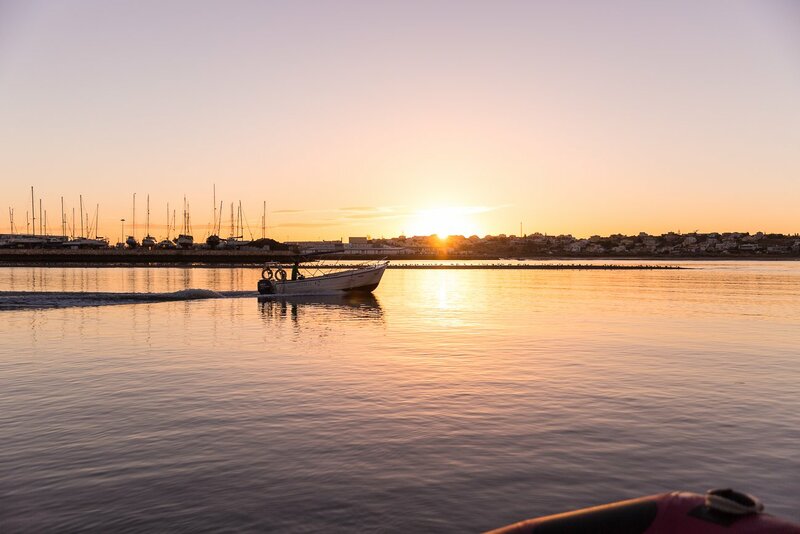 Most of the sunrise boat tours start at Portimão harbour. 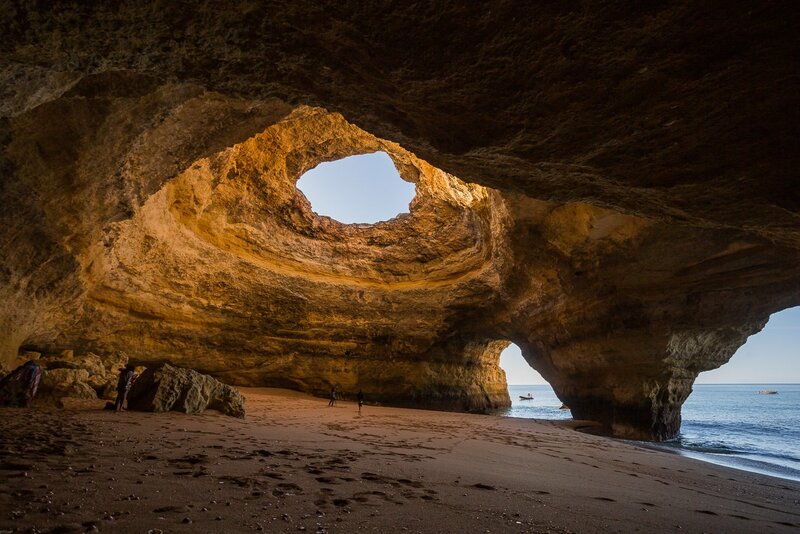 … before you make your entrance to the famous Benagil sea cave. Spot the tiny humans to get an idea how big this cave is. You’ll have to wade through water to get in here, as there is no entrance from the mainland. 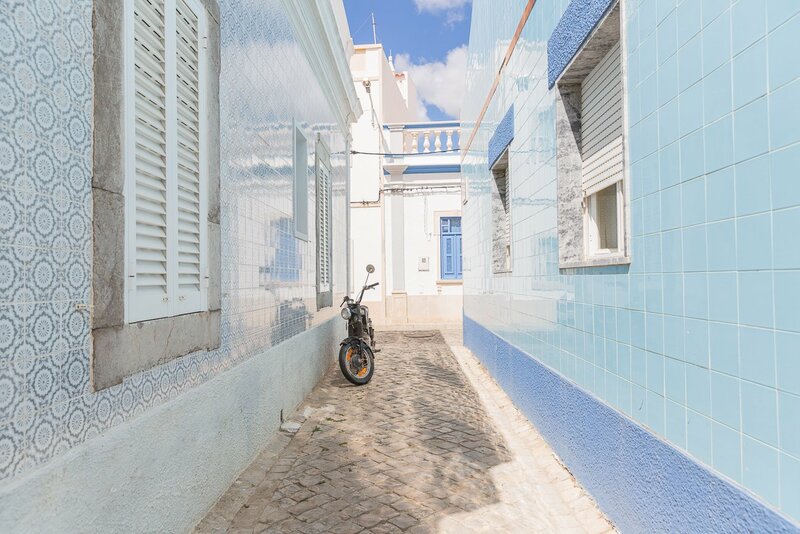 Santa Luzia is a sweet fishing village, that is worth a short visit to wander around the narrow paths and stumble upon tiled facades – a typical architectural feature of Portuguese houses. 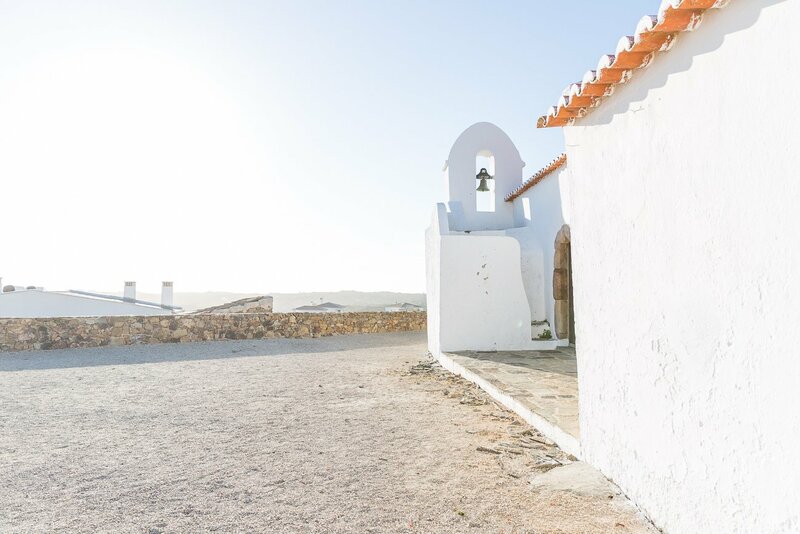 After a short boat trip from Faro’s harbour you’ll arrive on the Farol island (Ilha do Farol). 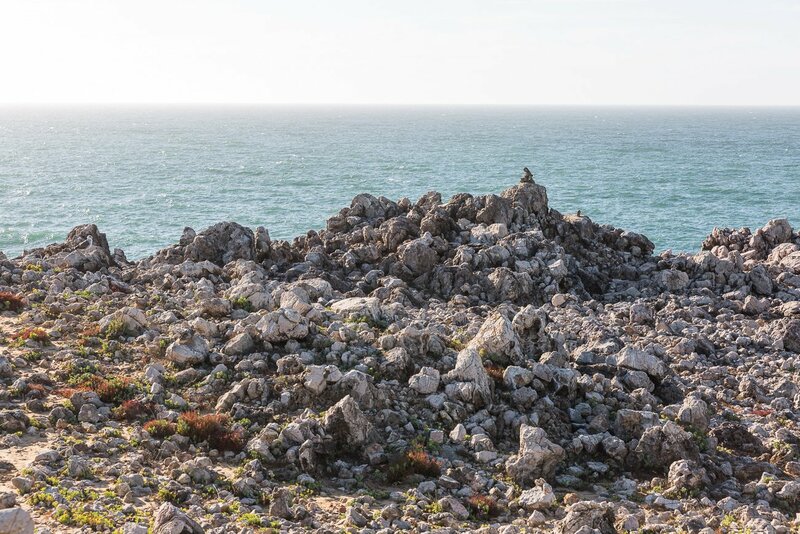 This island has only one inhabitant throughout the year – the rest is covered in vacation homes. 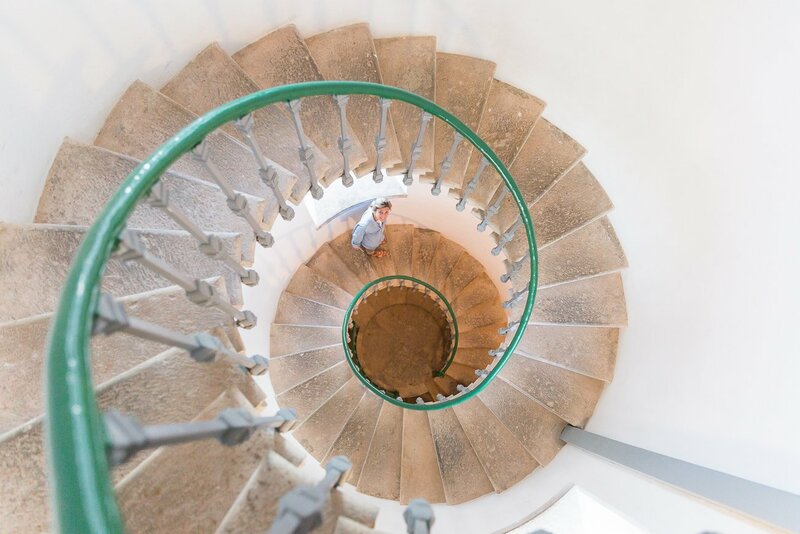 The view from the top of the lighthouse is worth the climb. The beaches are already empty in September as most vacation house owners have left the island. After the climb up the lighthouse it’s time to explore a bit more of the island until the sun sets. 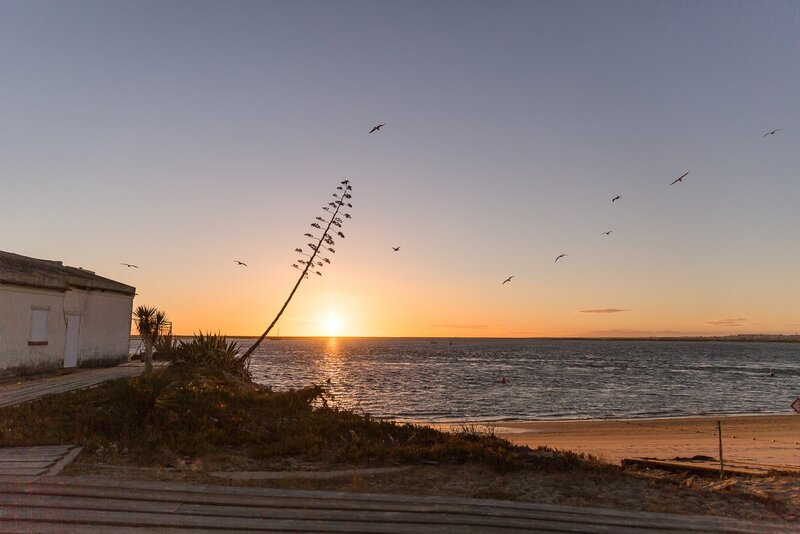 After the sun has set you can eat a very traditional dinner on the island (we went to Restaurant À-do-João). 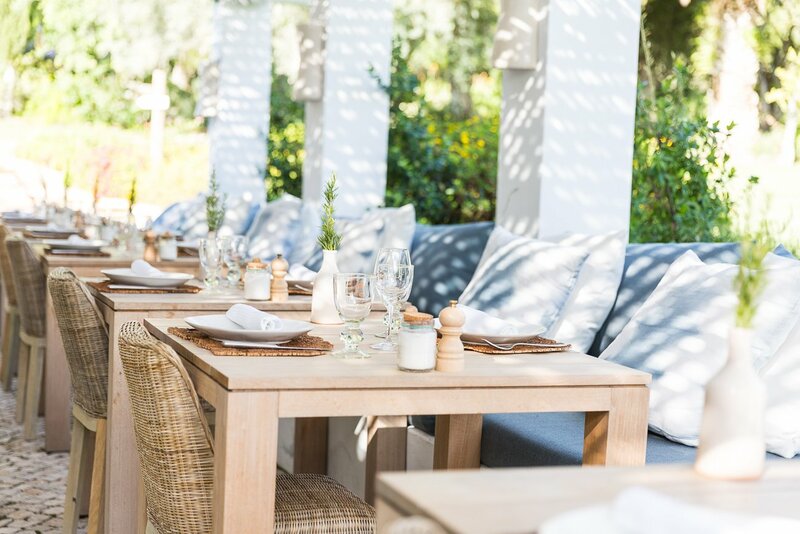 It typically includes the catch of the day – so very fresh fish, but they also have a few vegetarian options (salads, potatoes with dips, fresh bread and olives). 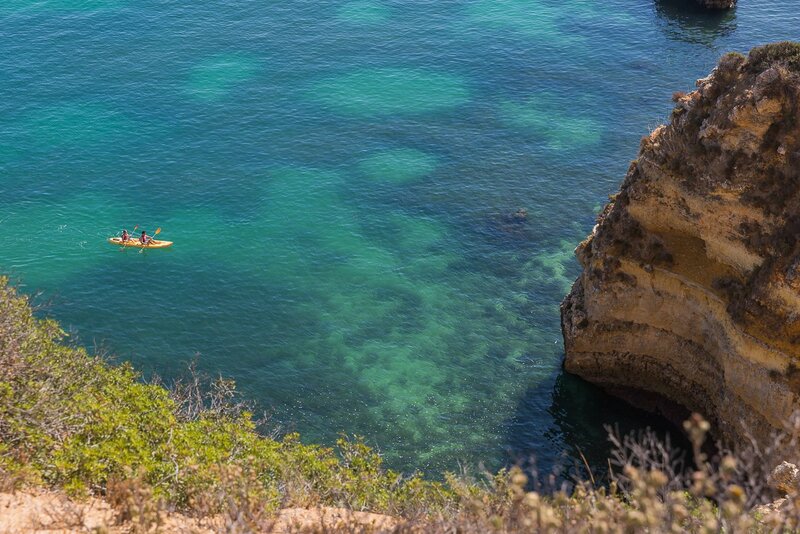 The second day is dedicated to exploring the diverse coastlines of the Algarve. 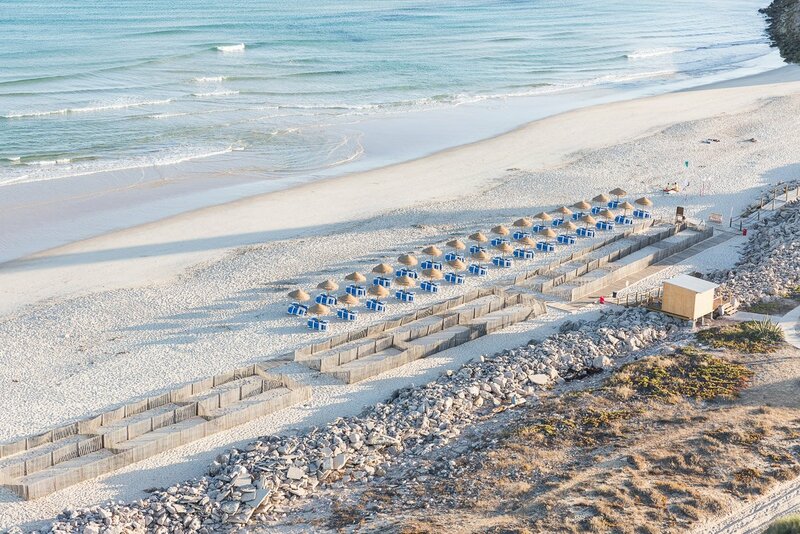 In the south you can visit the mediterranean beaches – all lined with fine sand beaches and cliffs. The water is clear and calm here, that’s why it attracts a lot of visitors. 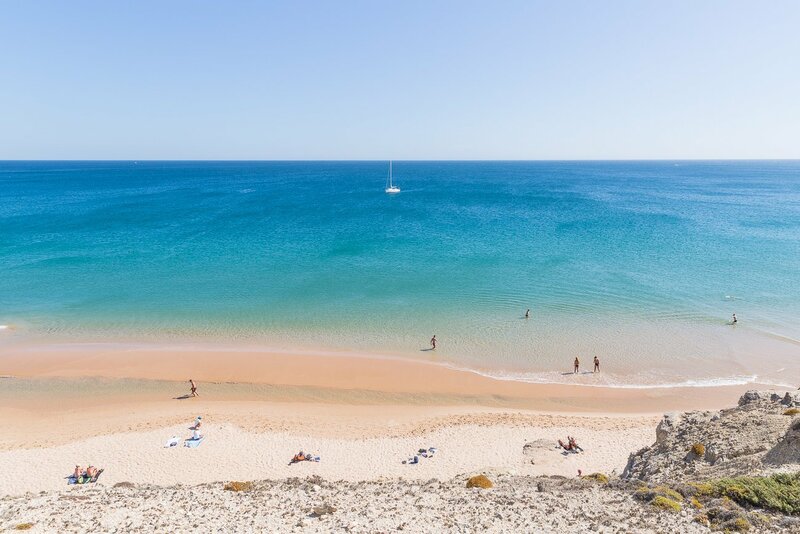 Praia de Dona Ana is one of the most visited beaches of the region. 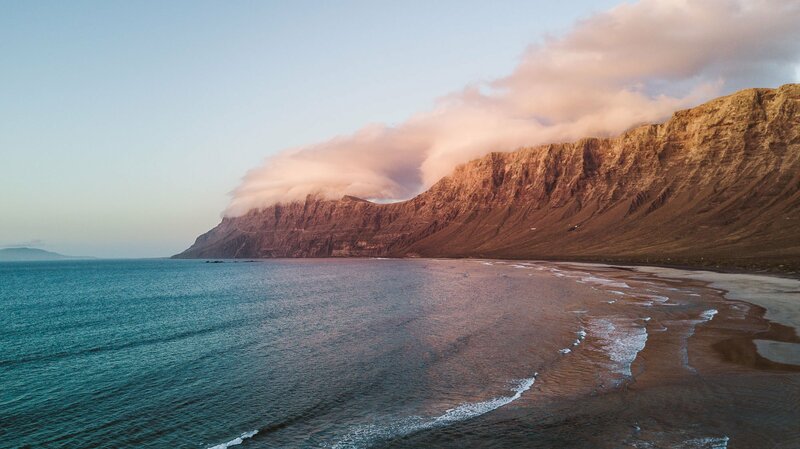 The parking lots are usually on top of the cliffs, so you can hike around for some amazing views of the crystal clear water. Aren’t they cute? 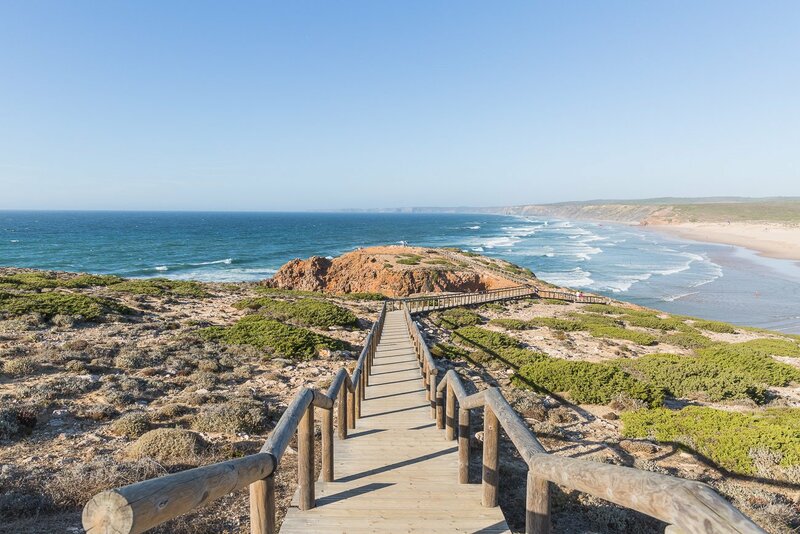 🙂 Next up: Lunch at Sagres. 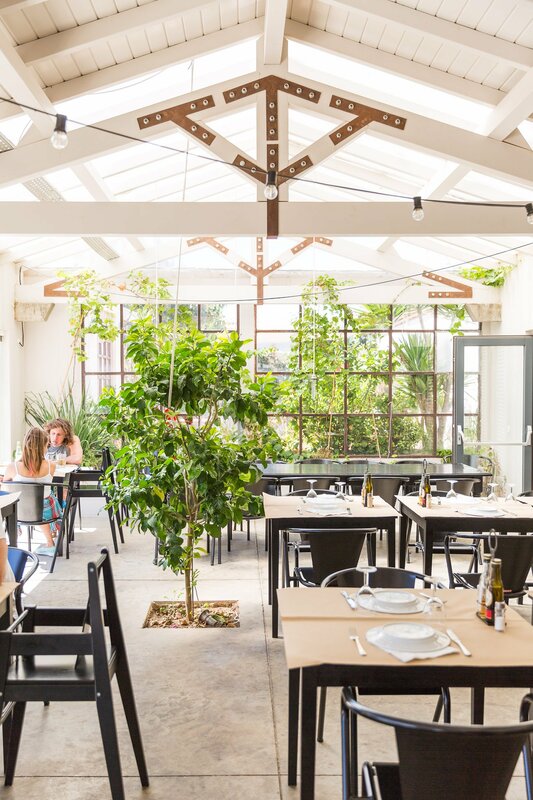 At Restaurant Armazem you’ll get local Portuguese cuisine with a modern twist! 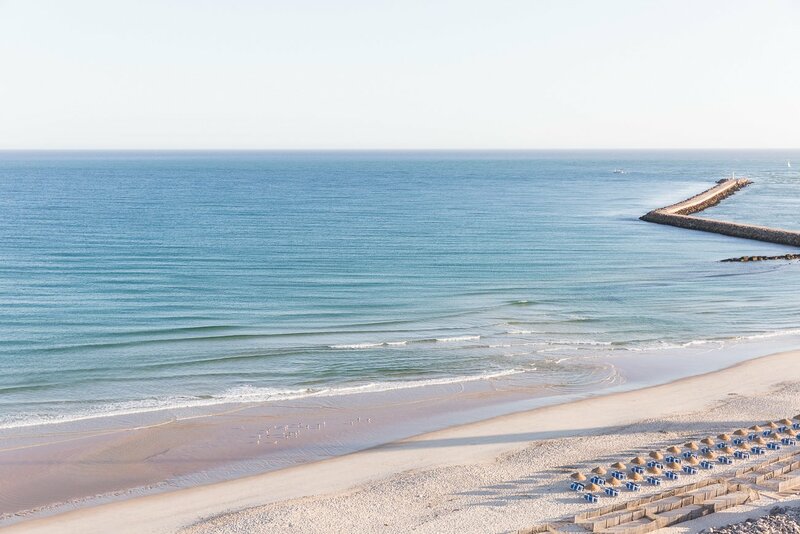 Sagres isn’t the most picturesque city, but the beach is pretty fantastic. 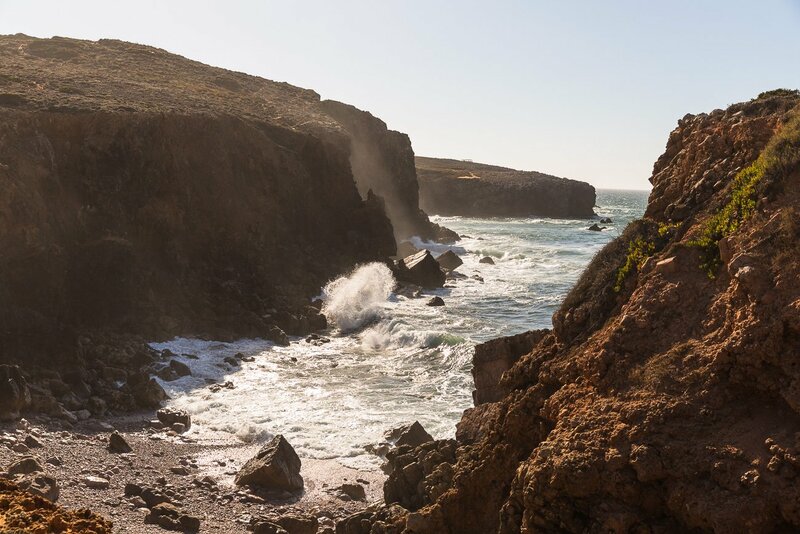 And here’s the contrast: The atlantic coast of Portugal – it’s wild, it’s rough and perfect for water sports of all sorts. 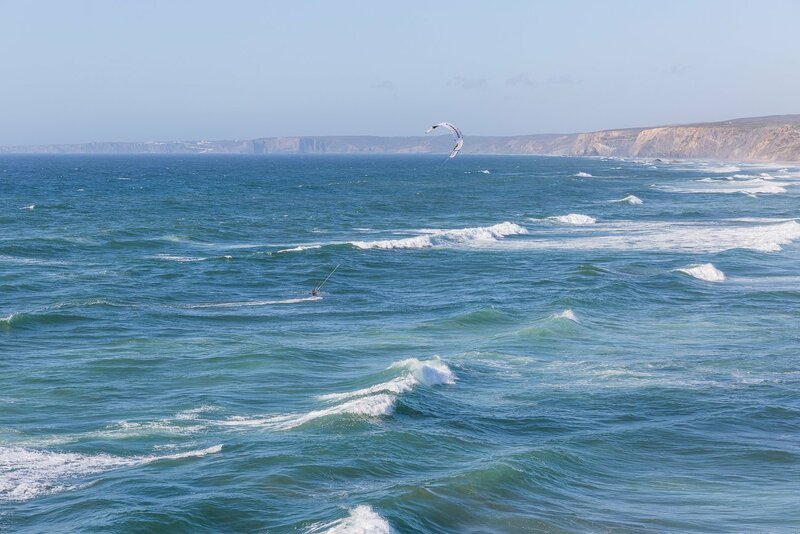 Kite surfers love Praia da Bordeira and it’s heavy winds and waves. 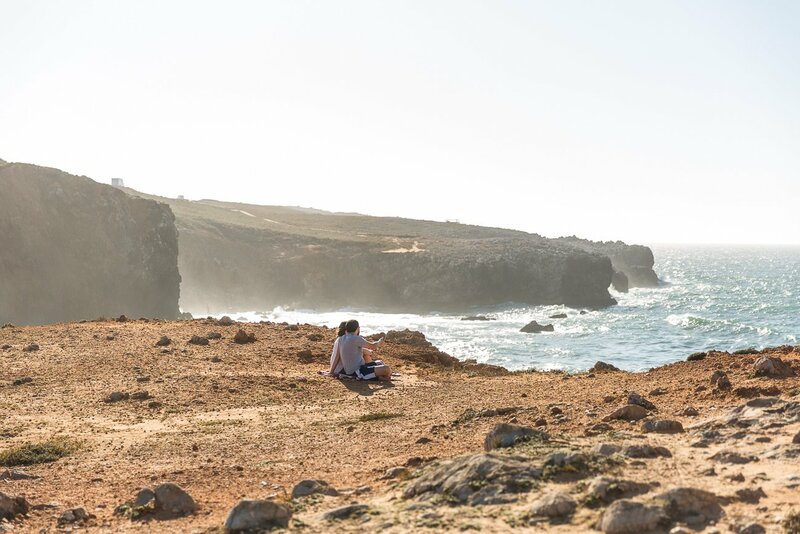 But it can also be a romantic place, as the beaches are less visited than the ones at the calm Mediterranean. 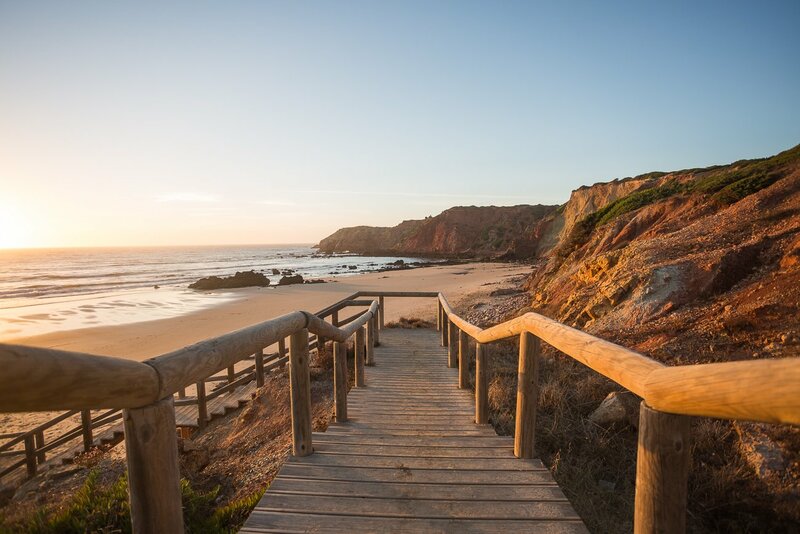 You can take the walkways to the lookout spots alongside the whole Atlantic Coast – there’s also some of them at Praia da Bordeira. 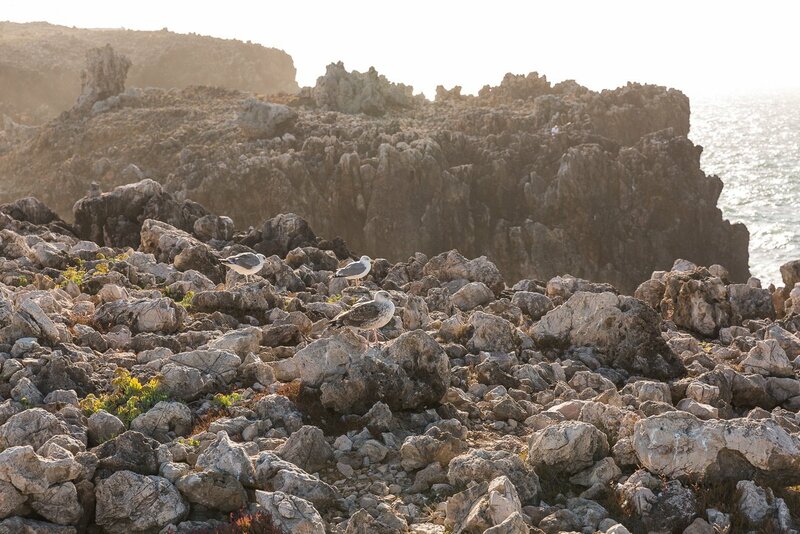 The cliffs can be rough and wild. But the seagulls enjoy their solitude here without too many visitors. Then we make a short stop for drinks at Carrapateira and are quite intrigued by this little sleepy surfers town. 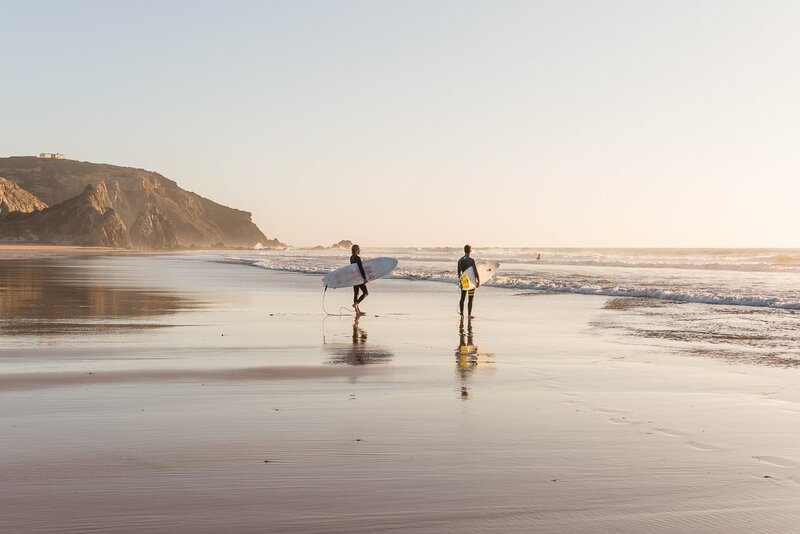 But our next stop is calling: Praia do Amado, surfer’s paradise. 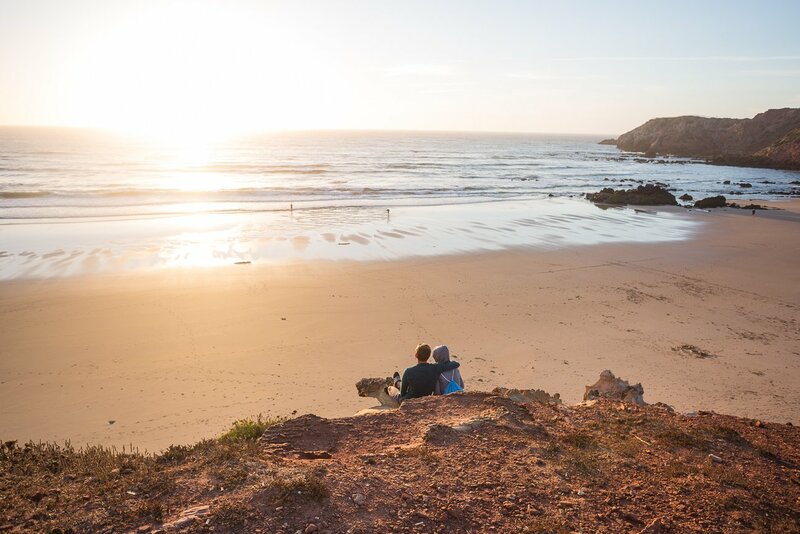 We stay here until sunset to watch the surfers dive into the cold Atlantic ocean, fearless and free! Some of them take their homes with them and travel by a fully furnished bus. After sunset the beach empties up as the last surfers leave the ocean for the day. 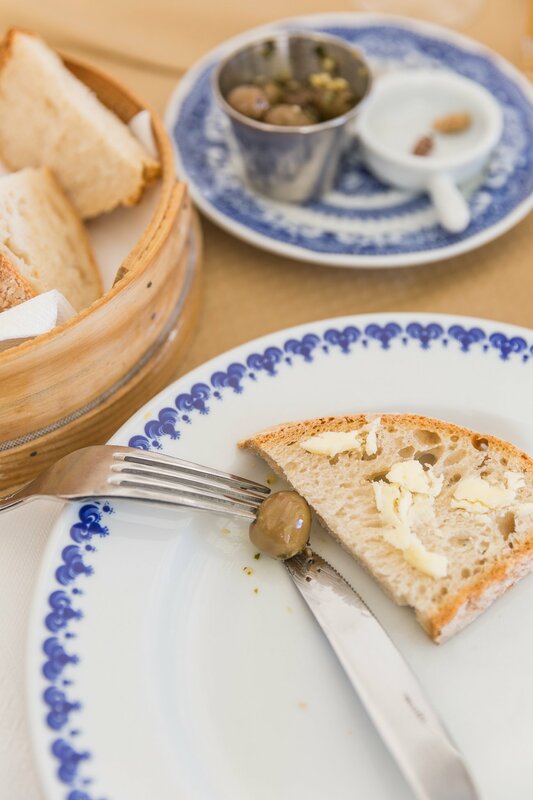 Saturday is market day in Olhão and we want to be part of it. 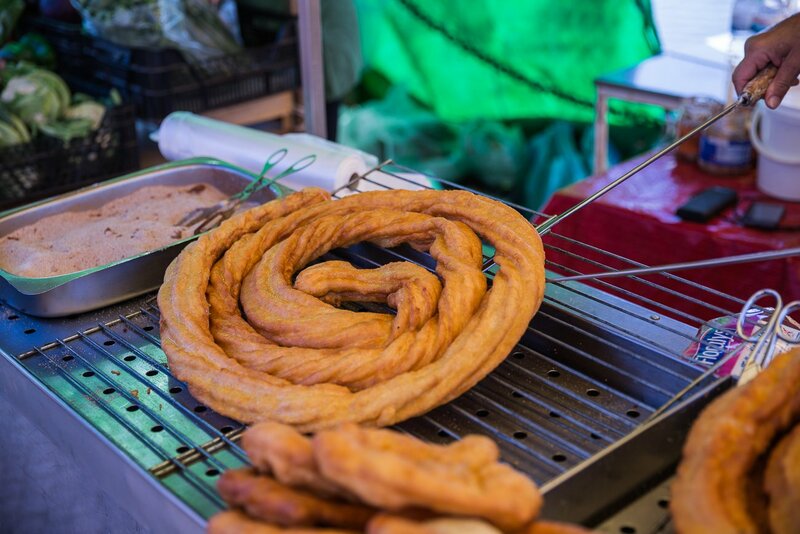 We stroll around the little stands and discover everything from fresh herbs to home made churros. 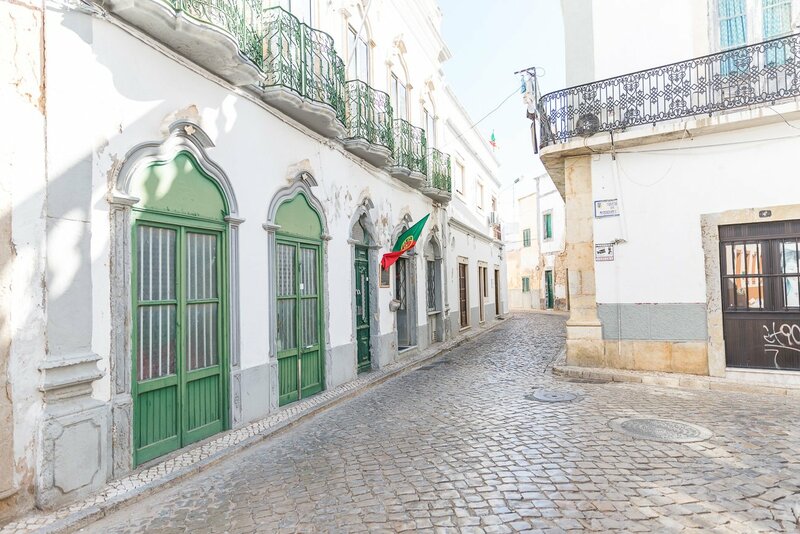 Then we walk around the picturesque alleys of the small town and fall in love with Portugal all over again. 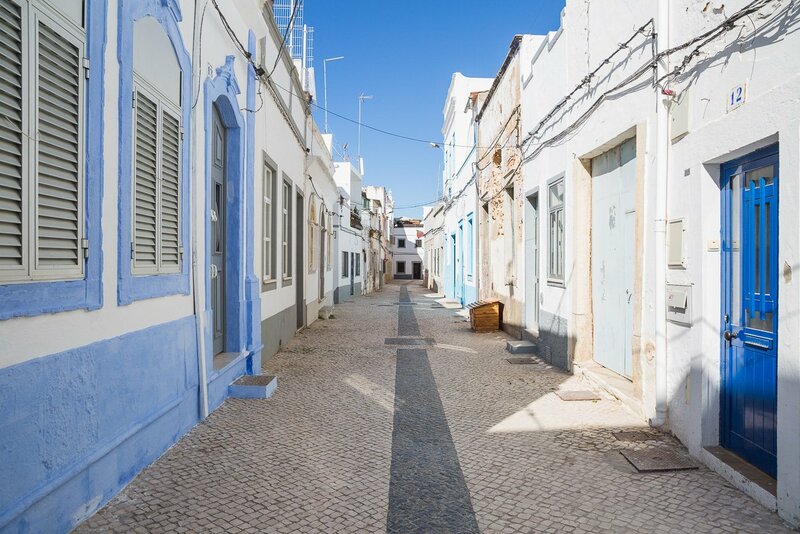 The Streets of Olhão are all blue and white – not all the houses are covered in decorative tiles though. The Portuguese are proud of their home country – and rightfully so! We stayed at the most wonderful hotel called Vila Monte Farm House in Moncarapacho. 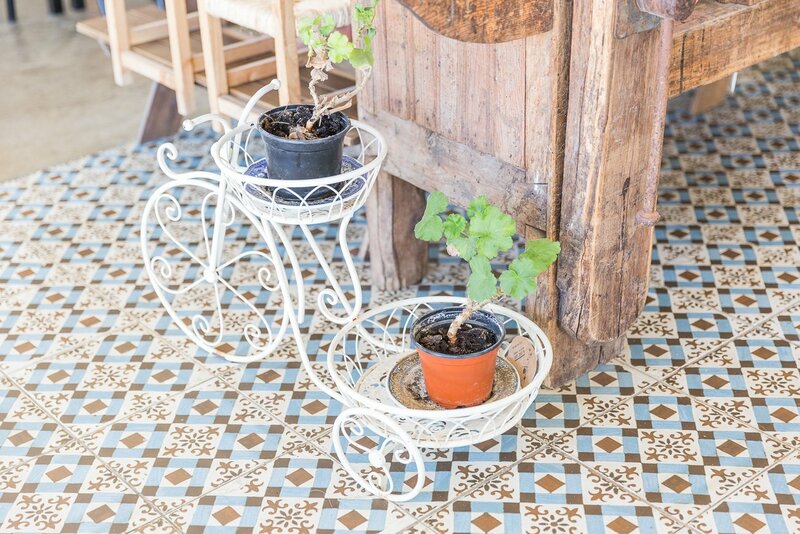 The rooms are traditionally whitewashed, the gardens are lush and well-kept with all sorts of small paths and greenery. They even grow their own vegetables and herbs! 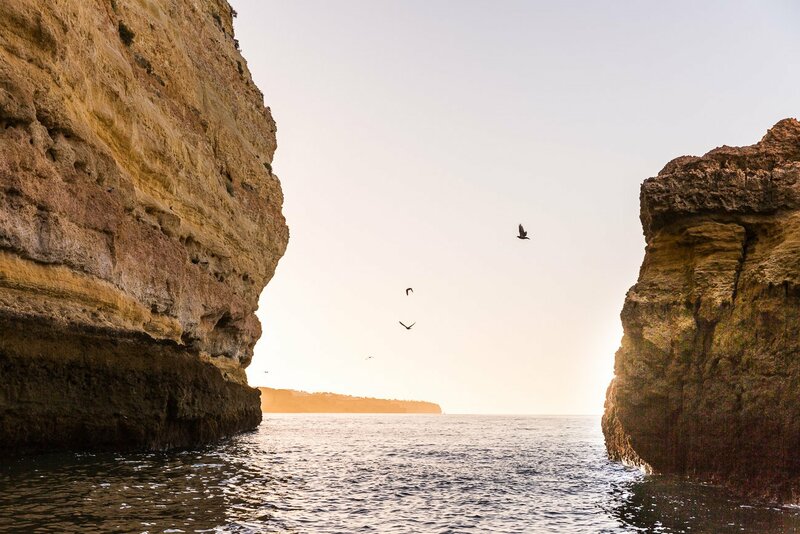 We were invited to the Algarve by Eurowings to showcase the new direct flight connection between Vienna and Faro. Our views of the destination are independent of this invitation. 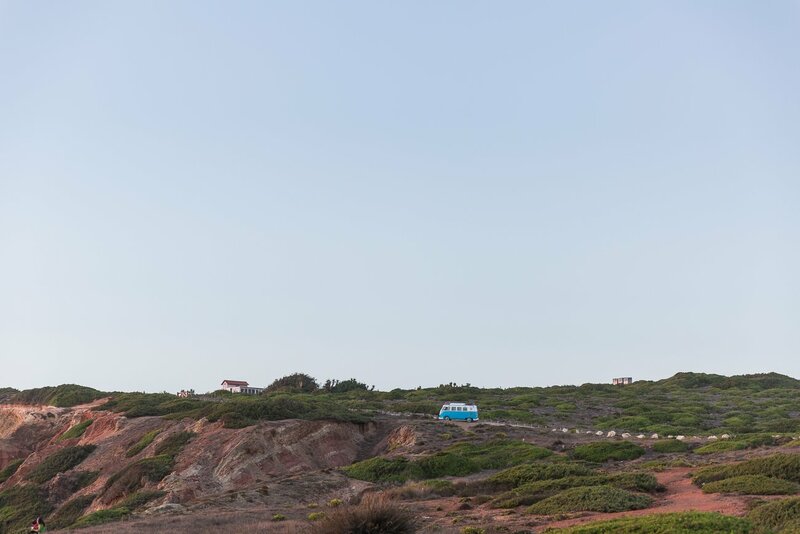 Which part of algarve did you make your base at ? In my opinion a must on your stay in the Algarve.